This handsome plush air bed mattress offers the best looks for the lowest price offered in the marketplace today. 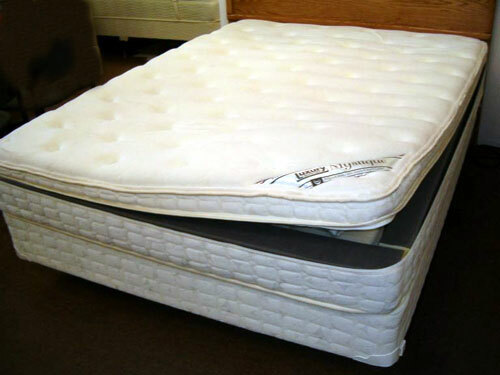 Discover the convenience and features of premier craftsmanship and design associated with only high-end air beds in this price busting leader. This handsome plush air bed mattress offers the best looks for the lowest price offered in the marketplace today. Discover the convenience and features of premier craftsmanship and design associated with only high-end softside air beds in this price busting leader. A closer look, both inside and out, reveals an impressive list of features including European tailoring, fully upholstered internal bolsters and quilted in-cover backing. Just add the comfort system of your choosing and you have superior comfort and quality. 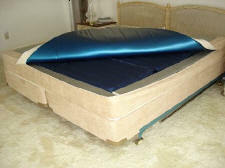 Air Bed Prices Include Ultra Digital Air Pump! 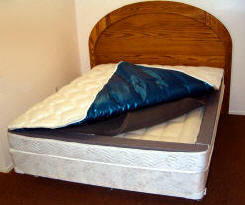 Please note, if ordered in conjunction with an air bed purchase, the item below has free shipping. 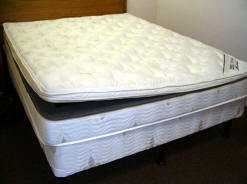 Redefining luxury, elegance and a world of comfort! Season to Season Reversible Duvet Cover! 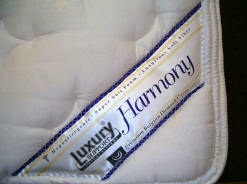 The consummate ultra-luxury sleep sensation, Comfort Craft® redefines excellence in luxury, elegance and support. The C.C. 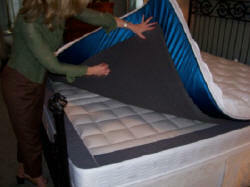 9500 Duvet flip top Summer/Winter Health Smart Design is a premium sleep experience unlike any other. 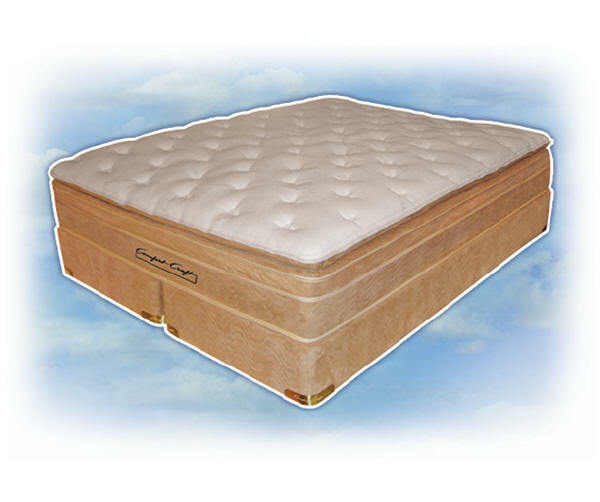 Relax in natural soft as cashmere or silk but durable as cotton Bamboo knit fabric with it's natural anti-bacterial and moisture managing properties & discover how truly conforming and supportive a plush latex comfort layer can be. Or flip the comfort top over and enjoy the Memory-Cell® layer, a heat and weight responsive material that will contour to your back and body to relieve pressure and support you in space-like suspension. All encased in our stretch knit Cool Plus® temperature regulating cover that continually balances the sleeper's temperature to keep you comfortable all night! Healthful moisture wicking/naturally antibacterial bamboo top surface. 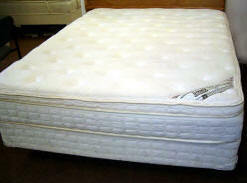 Tri-Zone Latex contouring support impression resistant Quiltflex™ for Soft as Silk and Tough as Nails utility. Cool Plus® - Responsive temperature neutral top surface. Memory-Cell® - Body, weight, shape and temperature responsive material. Conforming and supportive Thermal Bonded Fiber and Supersoft Foam. 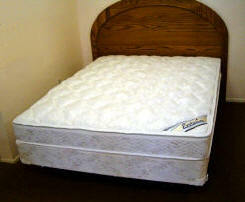 Healthy sleep moisture barrier.• Power Edge for largest sleep area. • Griptite - Non-Skid Bottom. Skin Friendly Aloe Vera Belgian Knit Cover! 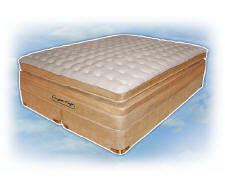 The incredible Comfort Craft line is designed to restore your body as well as your spirit. Comfort Craft is the luxury sleep sensation that redefines luxury, elegance and support! 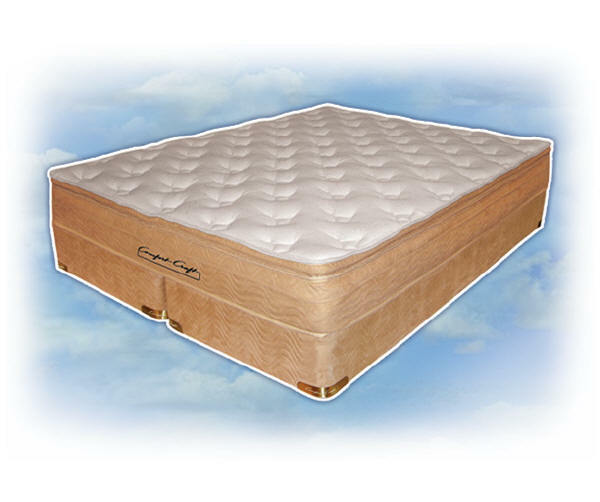 Incorporating the latest in naturally derived wellness materials for discriminating sleepers who want the absolute best possible sleep experience, the C.C. 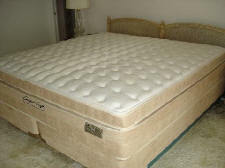 5500 features a natural Talalay Latex enhanced Euro pillowtop design with an Aloe Vera cover. A skin friendly and revitalizing combination so opulent that you'll pamper yourself night after night. 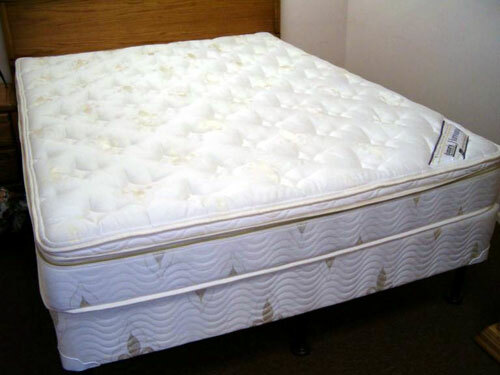 In addition to comfort layers of Quiltflex™, supersoft foam and ultra plush fiber, the 5500 includes Multi-Zoned support for maximum back and body care. All of this in designer colors with fashionable suede border paneling. Breathable Aloe Vera low tension stretch knit cover. Natural contouring support of Tri-Zone Talalay Latex. Pressure regulating supersoft foam and a comfort layer of ultra soft fiber. Removable, refreshable Smart Top and a fashionable Suede side panels. Easy entry & exit Power Edge • Griptite non-skid bottom • Body Balance Multi-Zone support. 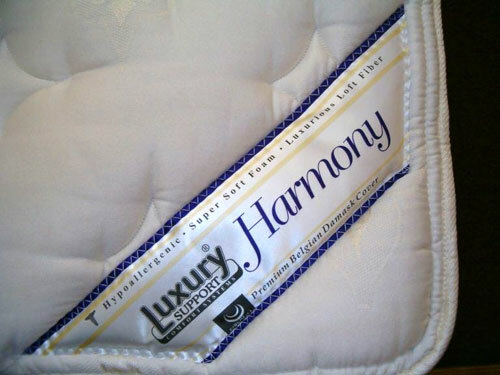 Beautiful Tack & Jump Quilting and a Healthy Sleep Moisture Barrier • Hypo-allergenic Breathe-Easy fabrics. 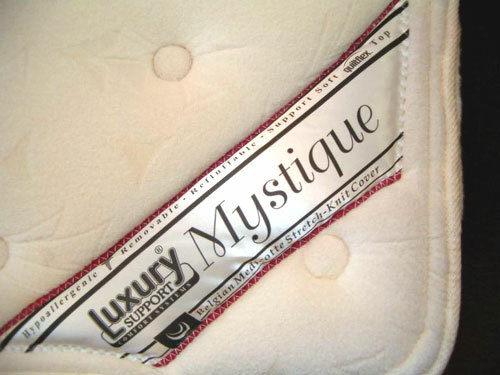 Premium Cotton Fiber Stretch Knit Cover!